In my last post I described a client who has in many regards been wildly successful in implementing shared services teams that are responsible for consolidated sourcing and procurement efforts. While the program has been unquestionably successful in helping them reduce costs and align internal strategies, they were somewhat restricted in their ability to grow the program to its maximum potential due to the way their budgets and targets were structured. The critical piece being that the savings achieved by shared services team translated back the departments that were expending capital, which made it difficult to justify, let alone grow, the resources in the shared services team. So, shared services, procurement, or your sourcing department should get 100% of the credit back to their own departments, right? Well, no. Source One recently had a meeting with a prospective new client. They are a widely recognized health care facility. As many other health care providers currently are, they are in a mad scramble to get control of their spending. As many of you know, and have probably read in the papers, hospitals aren't necessarily known for groundbreaking spend management controls or sourcing best practices, but recent regulatory changes are forcing them to change their practices. This company is on top of it, they want to get a handle on their spending and reduce costs substantially. They've developed an in-house sourcing group, and they’re working as fast as they can to bring as much of the company’s budgets under review as possible. In order to incentivize the sourcing group, they allow them to take credit for any and all savings that they deliver which translates into the ability to hire more help, implement better sourcing and procurement controls and hire outside consultants. Great right? What could go wrong? And what does this have to do with budgeting? Well, at the direction of the finance department (and ultimately the hospital shareholders), the savings that are achieved by the sourcing team are immediately considered budget reduction to the respective spend stakeholders. This means, the IT department budgets $2 million on software and integration services from Oracle. They then build an SOW and hand over a proposal to the sourcing group. The sourcing group, through negotiations and changing the licensing model is able to drive a $400K savings to the final contract. The deal is signed. The sourcing team immediately gets credit for the $400K in savings (but they can’t spend it), and the IT team immediately has their budget for that expense reduced to the new contract amount of $1.6 million. Everyone’s happy right? Not at all. Now were 2 months in the implementation of this Oracle system, and a change order pops up. It seems that something was not accounted for, or a scope of work has changed that now is going to require an additional license of software to the tune of $250K. Well, IT’s budget has already been reduced, and this is now considered an overrun. While everyone will ultimately understand and approve the overrun, we've now just created more work for the IT team. They now have to fill out all types of new forms and justification letters to explain a cost overrun, when in reality they are still going to wind up $150K less than the original budget they had allocated for this project. Now, IT doesn't want to go through this new process and have their budgets reduced because they know it creates more work for them in the future. An adversarial relationship begins to build with the sourcing group. But, let’s take a slightly more complicated situation that doesn't involve a scope of work change. The Marketing department wants to purchase some radio time for advertising. They have an approved budget for the advertising and now want to maximize what they can get for that money. However, they are now being instructed to utilize the sourcing group for those negotiations. The sourcing group is measure on savings achieved. But Marketing doesn't want savings. They have a budget that they want to spend and get the absolute most amount of properly placed air-time out of that dollar figure. So we are now expecting two departments, with two entirely different goals to somehow work together and produce some level of result. Let’s look at one more problem they are having. The facilities team submits a contract for janitorial supplies. Sourcing works their magic and identifies an alternate supplier or GPO and delivers and estimate 6% savings opportunity. The supplier is qualified, selected and implemented. The facilities department is now immediately reduced by the corresponding dollar amount. But, they wind up over budget come the end of the year. Why? Well the supplier never honored the pricing for certain items, and the facilities department is now on the hook for a budget overrun. Sourcing got the 6% savings credit, forecasts were made to shareholders because profitability was expected to increase, but no one checked for compliance until the end of the year. There are several other instances in which pulling the savings out of departmental budgets just simply does not make sense. But in all scenarios, it creates the same thing. Animosity and contention is developed between departments and the sourcing group, and the concept of a collaborative environment breaks down rapidly. People look to circumvent the sourcing and procurement controls that have been put in place, and real opportunities to reduce costs and improve the business get lost. 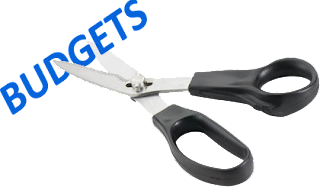 Read our last post, you need to change your culture of budgets.